Press photograph. Approximately 26 x 20cm. 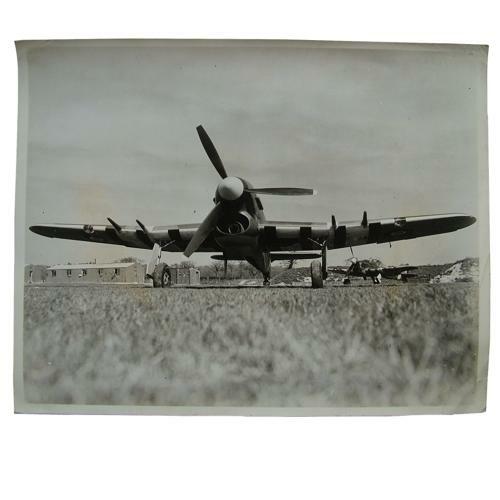 Shows a Tyhoon fighter with 4 cannons on an airfield somewhere in England. Captioned to rear ' First pictures of the Typhoon - one of the most formidable aircraft used by Fighter Command....' Great clear image of the Typhoon with another and some airfield buildings in the background. Dog-eared corners and some creasing but generally good. Stock code P22873-98.